WWF has a long and proud history. We've been a leading voice for nature for more than half a century, working in 100 countries on six continents with the help of over five million supporters. Passionate and dedicated people like you. As the seventh largest member of the WWF Network, WWF-Australia has a challenging brief. We're striving to conserve biodiversity in Australia and throughout the Oceania region. It's a big task and not one we can tackle alone. But together we can. 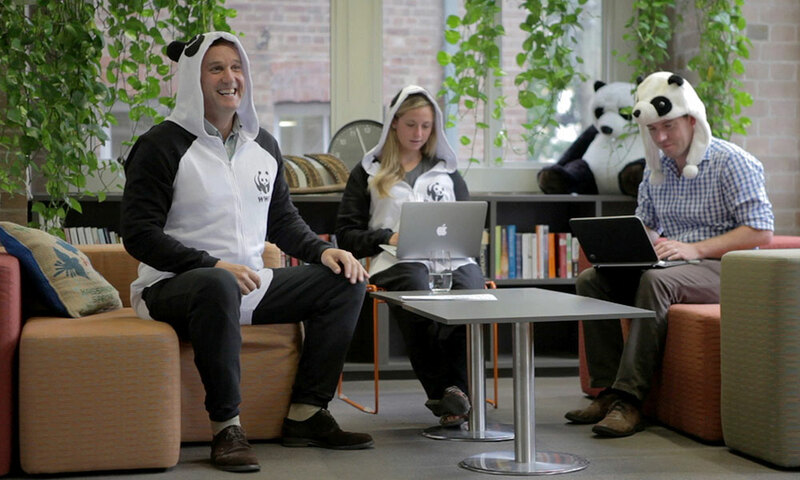 Dermot O'Gorman, CEO of WWF-Australia with other WWF staff in panda onesies to support Wild Onesie Week campaign 2014. 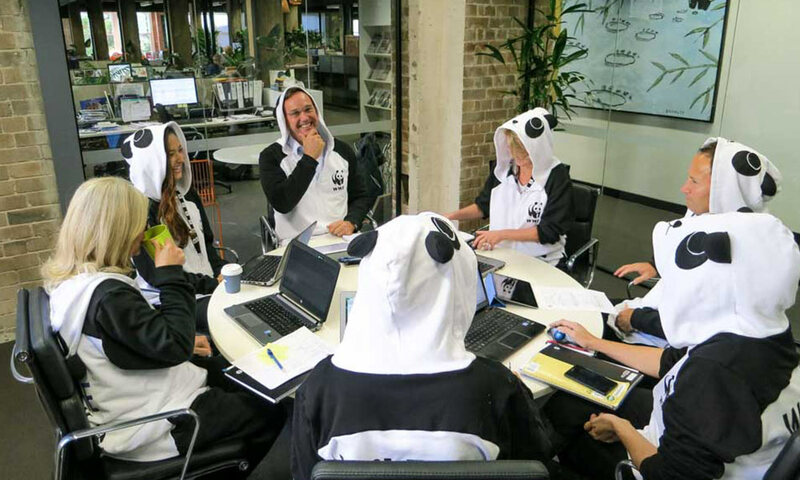 WWF staff members dress in their Panda onesies as part of Wild Onesie Week 2014. 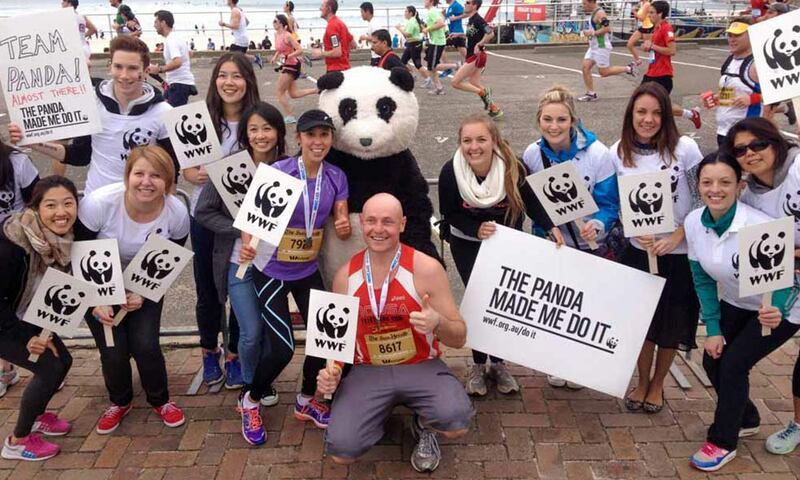 WWF volunteers with City2Surf participants 2014. 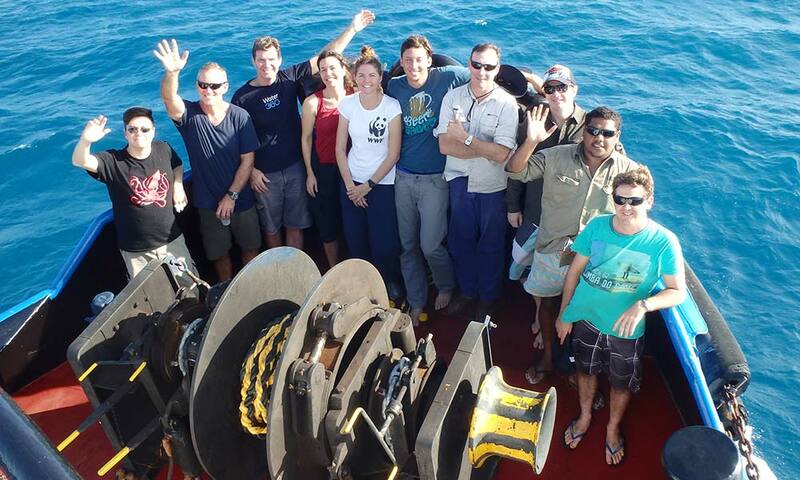 A WWF team as part of the 'Rivers to Reef to Turtles' field trip, 2015. For a long time now WWF has realised that our planet’s species, people, habitats, governments and global markets are directly, and often delicately, interconnected. The web of relationships is complex. If we are to conserve nature and reduce threats to life on Earth, then we're going to have to work together. WWF's global network is a powerful force for change. Behind the scenes of our on-ground conservation projects are teams of scientists, policy and communications experts, lawyers and other specialists, all supported by our regional and national staff members. Our network also includes valuable partners – in business, government and non-government organisations, communities and, of course, our fabulous supporters. This formidable team is influencing decision-making and behaviour at the highest and most personal levels in the interests of conservation. Our world is changing rapidly. Our planet and humanity are at a critical crossroads. Biodiversity loss is accelerating, our global ecological footprint is growing, the climate crisis is impacting on people and places like never before, and wealth inequality is rising. The momentum for change is growing. WWF’s vision of a world where humans live and prosper with nature is increasingly one shared by people around the world. And while one person or group may be unable to take on the Earth's conservation challenges single handedly, together we can. Learn about the history of WWF Australia on our website from our beginnings to who we are today. Visit Us today for the latest information. A job with WWF is an investment in a sustainable future. WWF-Australia partners with business to change the way they do business, and to raise awareness and funds for our conservation work. A set of guiding principles ensure that WWF-Australia's work is carried out ethically.